Mega Bloks Big Building Bag, 80-Pc Just $14.50 (Reg. $24.99)! You are here: Home / Great Deals / Amazon Deals / Mega Bloks First Builders Big Building Bag, 80-Piece Just $14.50 (Reg. $24.99)! 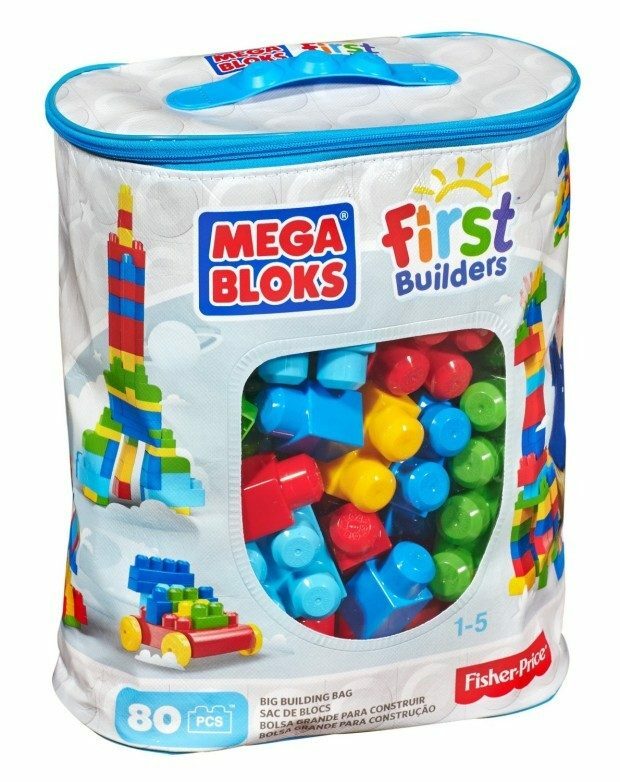 Mega Bloks First Builders Big Building Bag, 80-Piece Just $14.50 (Reg. $24.99)! Head over to Amazon and order the Mega Bloks First Builders Big Building Bag, 80-Piece Just $14.50 (Reg. $24.99)! Prime members and orders of $35+ get FREE Shipping! The 80 piece Maxi Blocks Classic Bag by is the perfect toy for your little building fan who is just learning how to build with his own two hands. Give him the opportunity to stimulate his imagination and learning skills while encouraging discovery, fine motor skills and open-ended play!